Do-It-Yourself Repair for poor radio reception below. 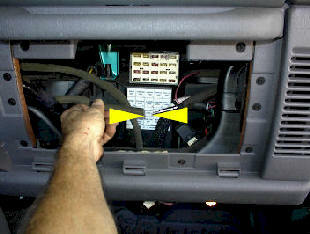 NOTE - When disconnecting antenna from car stereo you may cause antenna connection behind glove box to release. Drop glove box by opening and pushing release in on right side. Check antenna connection!